La Guitarra means a stylishly decorated rooms, combining modernity with a cozy atmosphere. 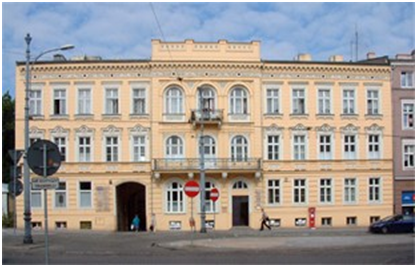 Hostel La Guitarra is situated in a monumental building in the courtyard of Adreschs’ Palace in the heart of Poznań. The Main Square, The National Museum are all stone’s throw away from here (50-200 m). With numerous shops, restaurant and pubs around, all what you need is within the reach of your hand. We are only a few steps from ‘Marcinkowskiego’ tram stop – you can catch the following trams: 2, 3, 5, 9, 13, 16.